Case Hospital has denied allegations that doctors operated an already dead Mowzey Radio. Photo by Agencies. 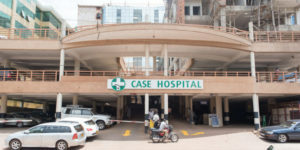 In a female voice, there has been a series of audio broadcast with the most trending of a female claiming to be one of the “Nurse” and staff at Case hospital that operated and attended to the late Mowzey Radio while admitted at Case hospital. In the message, one Cathy Namubiru claims that the late was poisoned and there was a lot of foam following from his body openings, nosal opening and mouth. She further added that the deceased was brought to the hospital in a critical condition and refutes allegation of the late being hit on the head as earlier reported. However, the management at Case Hospital took the entire evening clearing the air about the development. The top management disclosed to the public that they have never employed anyone in the name of Cathy Namubiru. The hospital management on their official Facebook page denied the allegation made by various individuals and regarded them as traitors and people bent on misleading the public.